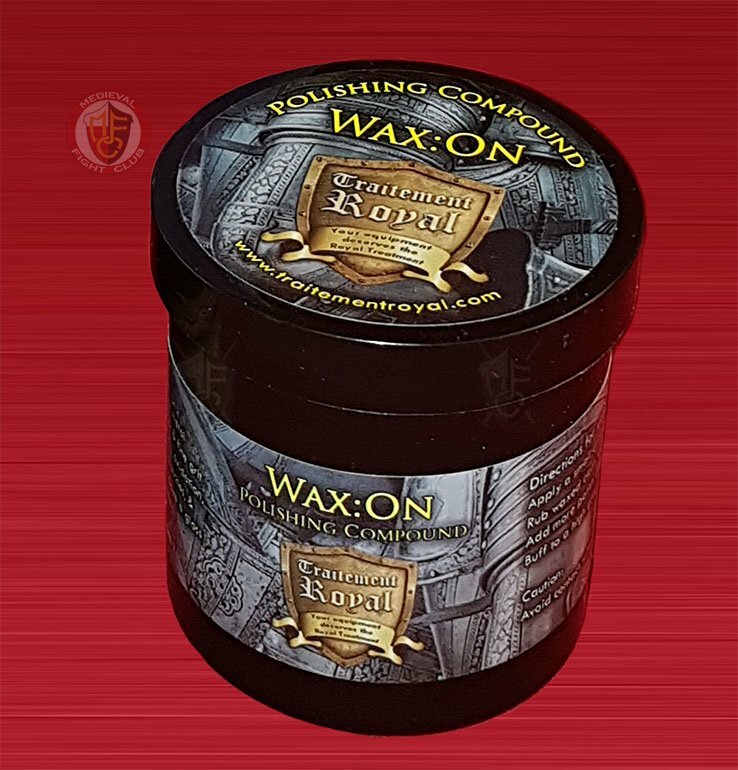 Medieval-Fightclub recommend Wax:On as the best labour saving way to protect your armour and weapons from rust and preserve the finish the way we supply it to you. Made by Traitement Royal (Royal Treatment) and now available from MFC, order now and use it before rust/oxidation becomes your worst enemy. 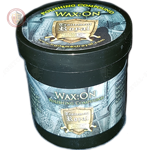 Wax:On polishes is a purpose made polish for armour and weapons. It seals and protects steel, chrome, gold plate, clear coat, brass, polished aluminum, paint, stainless steel and other bare metal surfaces. Seals in shine and locks out pollution and oxidation for up to 6 months. Works great on on all metal surfaces and creates a long lasting moisture barrier. Seals out pollution and oxidation for up to 6 months. For even better results we recommend an additional layer of another product from Traitement Royal called "Coat de Armour". Traitement Royal specialise in products designed to preserve and prolong the life of re-enactment equipment. PLEASE NOTE - The contents of this item will settle over time. I've tried a number of other metal polishes, and for armour and swords, this is the best by far. It removed surface rust with ease and it even removed old fingerprints, that another very well known brand wouldn't get out.